Have to be short and sweet (literally) today because I am dealing with a mountain of Italian paperwork, and struggling with the internet. This post is right on target for me, because on this date in 1894 a baker from Verona (next town over from Mantua where I currently live), patented an industrial recipe for the mass production of pandoro. 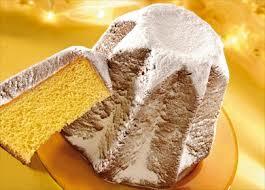 Pandoro is a traditional Italian sweet yeast bread, most popular around Christmas and New Year. Now it is typically a Veronese product. 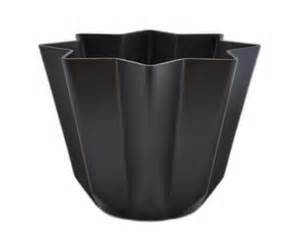 It is often shaped like a frustum with an 8 pointed-star section. It is commonly served dusted with vanilla scented icing sugar made to resemble the snowy peaks of the Italian Alps during Christmas. It is also very popular in Buenos Aires at Christmas time because of the large Italian immigrant population. Pandoro appeared in remote times. Throughout the Middle Ages, white bread was consumed solely by the rich, while the common people could only afford black bread and, often, not even that. Sweet breads were reserved for nobility. Breads enriched with eggs, butter and sugar or honey were served in the palaces and were known as “royal bread” or “golden bread” (pan d’oro). Italian desserts of the 17th century were described in Suor Celeste Galilei, Letters to Her Father, published by La Rosa of Turin, and they included “royal bread” made from flour, sugar, butter and eggs. However, the bread was already known and appreciated in the ancient Rome of Pliny the Elder, in the 1st century. That bread was made with “the finest flour combined with eggs, butter and oil”. Virgil and Livy mentioned the preparation under the name Libum. The first citation of a dessert clearly identified as Pandoro dates to the 18th century. The dessert certainly figured in the cuisine of the Venetian aristocracy. Venice was the principal market for spices as late as the 18th century as well as for the sugar that by then had replaced honey in European pastries and breads made from leavened dough. And it was at Verona, in Venetian territory, that the formula for making pandoro was developed and perfected, a process that required a century. The modern history of this dessert bread began at Verona on October 30, 1894, when Domenico Melegatti obtained a patent for a procedure to be applied in producing pandoro industrially. Pandoro was the last meal eaten by the Italian dictator Benito Mussolini before his execution in 1945. For some reason, pandoro recipes usually call for making two at a time. Maybe they go so quickly you need two on hand. You’ll also need a special baking mold. I have to say that I’ve never made this because local bakers do such a good job, much better than I can. 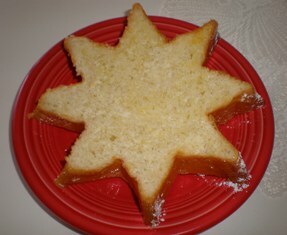 You can slice the pandoro horizontally to make star-shaped slices which you serve with a sauce of sweet mascarpone and jam. Put the warm water in a small bowl. Stir in the yeast, sugar, egg yolk, and flour. Cover with plastic wrap and put in a warm place. Allow the biga to rise until doubled in size, about 1 hour. In a large mixer bowl, combine 4 egg yolks, ½ cup of sugar, butter, and water. Beat on low just to combine the ingredients. Add the biga and mix again to combine. Gradually add 3 cups of the flour, one cup at a time, blending after each addition. Increase the speed to medium-low and beat the dough for 3 to 4 minutes. The dough should be soft and a little sticky. Grease a large bowl with butter, add the dough , and turn to coat. Cover the bowl with plastic wrap, then cover with a kitchen towel. Put in a warm place to rise for 2 hours. Punch down the dough and make a well in the middle of it. Add 1½ cups more flour, the remaining 3 egg yolks, the whole egg, the remaining 1/4 cup of sugar, the lemon zest, and optional vanilla. Knead the dough in the bowl to combine the added ingredients. Transfer the dough to a lightly floured surface. Knead for about 5 minutes, or until the dough is soft and smooth. Add additional flour if necessary. Put the dough in a large greased bowl. Turn to coat the dough and again cover with plastic wrap and a towel. Let rise for another 2 hours. Butter two 6 x 9-inch pandoro molds. Punch down the dough and divide it in half. Form each piece of dough into a ball. Place each ball into the prepared mold and cover with a towel. Let rise for 1½ hours or until dough is ¾ of the way up the molds. Bake the breads for 30-35 minutes, or until tops are brown and a tester inserted in the center comes out clean. Let the breads cool in the pans for 10 minutes. Remove bread from molds and cool completely on wire racks.